IDW Publishing has been proud to publish award-winning artist Gabriel Rodriguez’s work over the years, and it is with great honor and excitement to announce that he will be launching his first creator-owned series as writer and artist, Sword of Ages, in October. 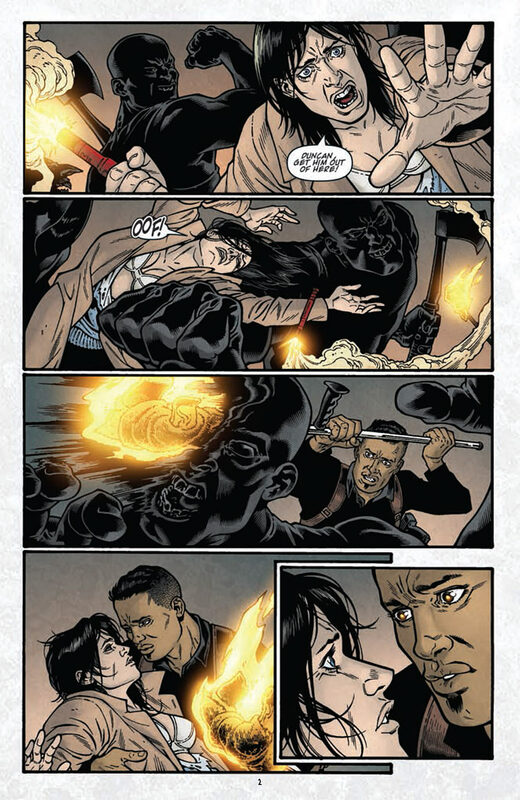 Rodriguez’s history with IDW is nearly as long as the company’s comic-publishing history itself; he broke into American comics as the artist on multiple CSI miniseries, and moved from movie adaptations such as Land of the Dead and Beowulf to an extended adaptation of Clive Barker’s epic novel, The Great and Secret Show. 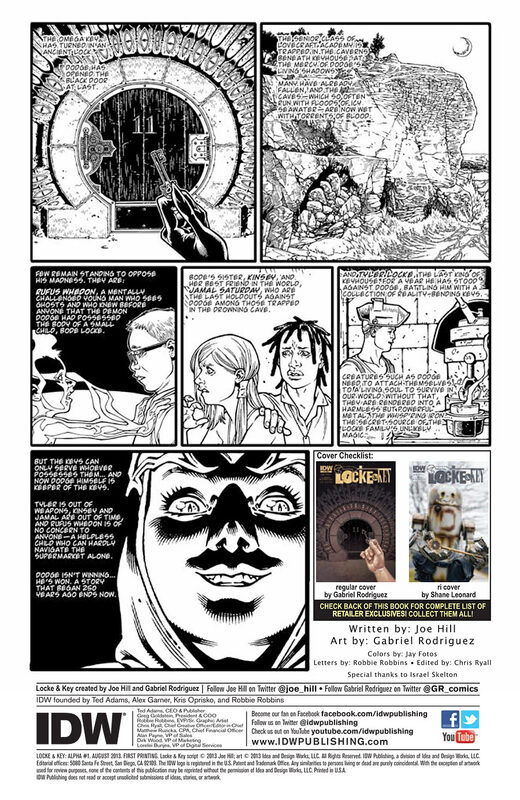 But it was work on the award-winning Locke & Key, co-created by Joe Hill, that really vaulted Rodriguez into the artistic stratosphere. 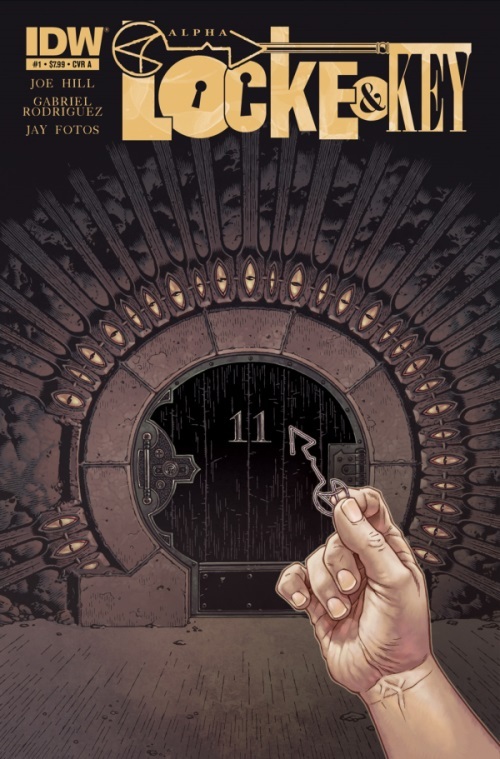 Rodriguez then followed the initial conclusion of Locke & Key with the Eisner award-winning miniseries Little Nemo: Return to Slumberland with co-creator Eric Shanower; Onyx with co-creator Chris Ryall; and last year’s Tales from the Darkside, again pairing Rodriguez with Joe Hill. 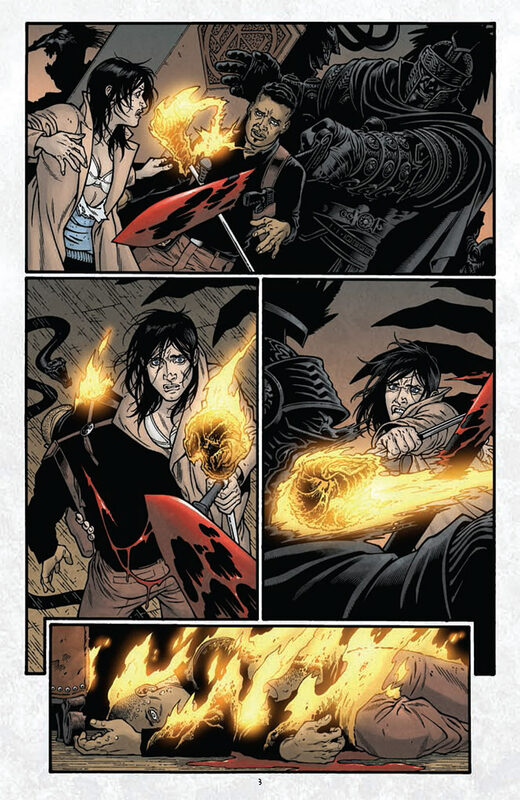 Sword of Ages will mark Rodriguez’s comic book debut as the sole creator on a series. 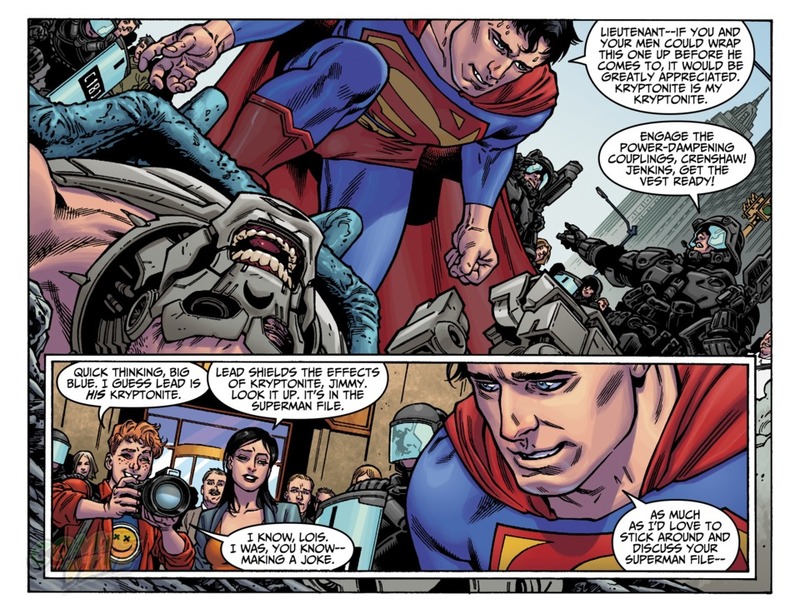 He’ll be joined on the title, planned as a series of miniseries, by acclaimed colorist Lovern Kindzierski. 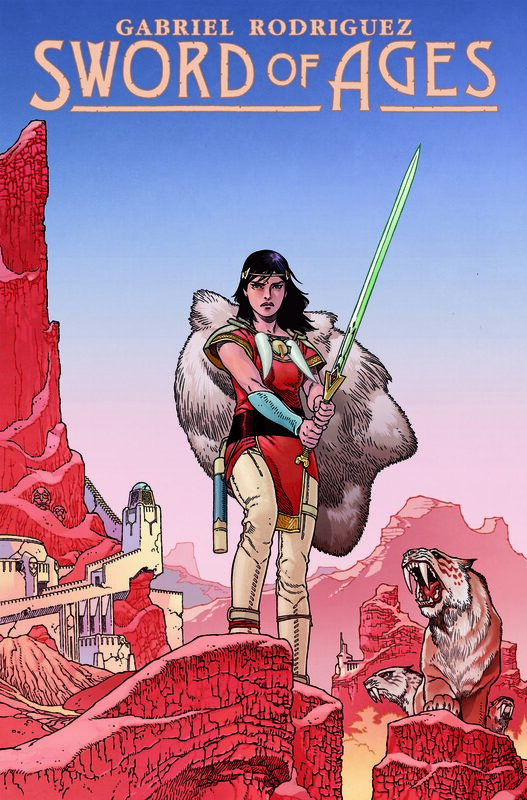 Sword of Ages presents an all-new vision of the Excalibur myth in the form of an epic, 5-issue space fantasy. The everlasting legend of the Sacred Sword is born through young warrior Avalon’s brutal clashes with rising tyrants in a world of fantastic creatures, ancient civilizations, alien forces, and true magic. Sword of Ages will be released this October! 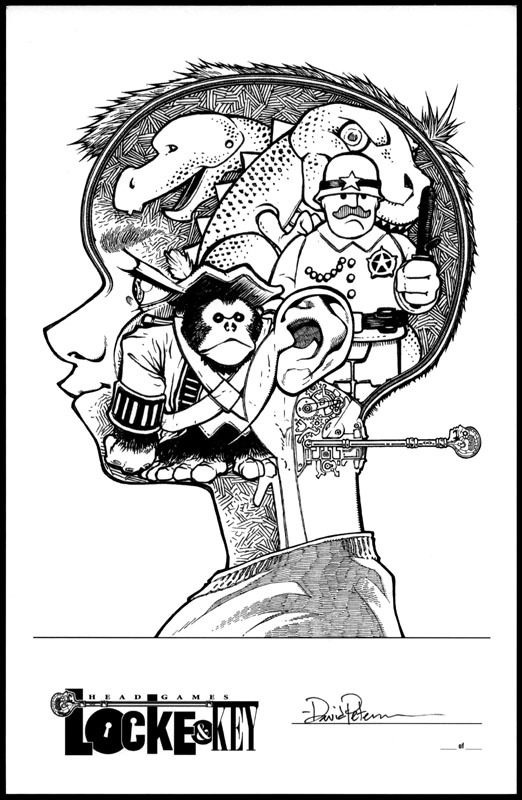 Check out the cover reveal, find out what’s new in the tiny new world Rodriguez and Hill are crafting and learn what’s next for the “Locke & Key” television series. 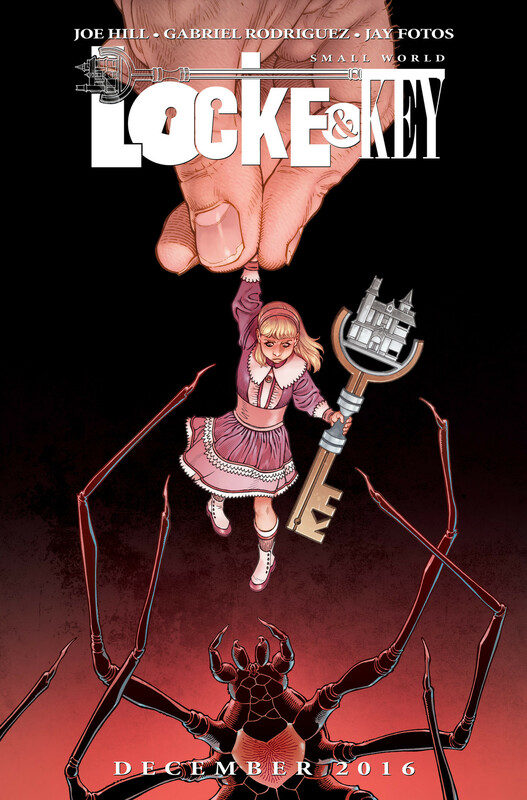 “Locke & Key,” which ended its monthly run in 2013, is one part supernatural thriller, two parts puzzle box, and topped off with a heaping amount of good old-fashioned horror. 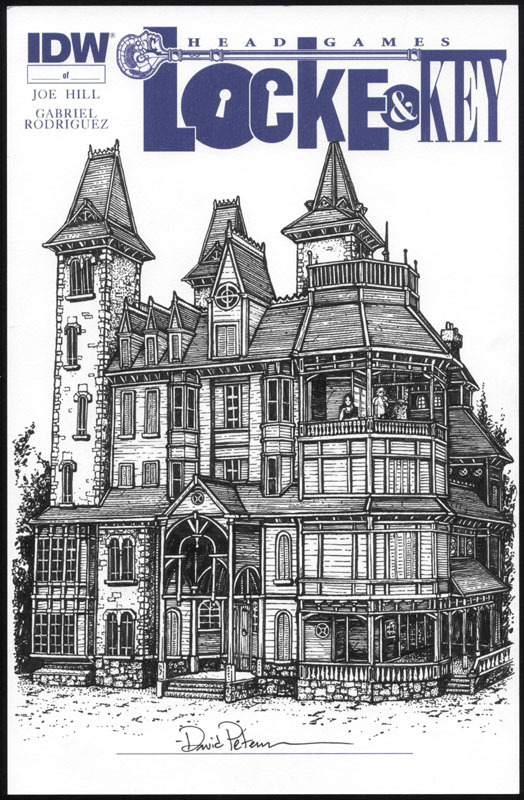 The first six books were centered around the Locke kids and their ancestral home, a winding New England manor in which a number of magical keys are hidden, keys that can unlock doors that lead to wherever your heart desires, can turn you into a ghost and even drill into another person’s mind. Naturally, as with all things magic, there are evil forces at work trying to harness the power from the keys. 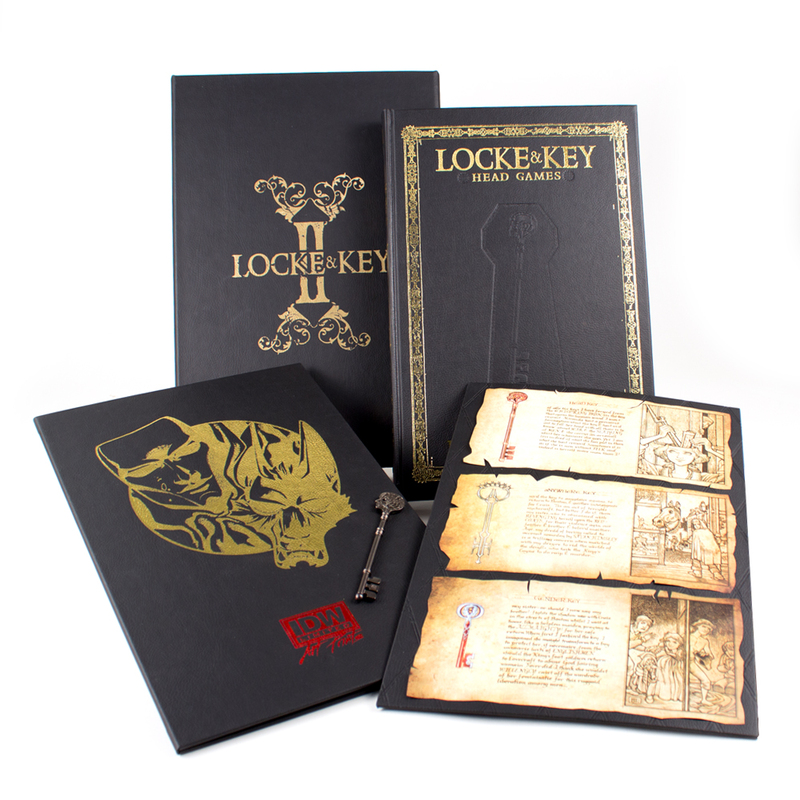 It’s up to the children of the Locke family to solve each little mystery as it’s revealed by Keyhouse. Back in 2011, Fox conjured a pilot for a TV series with Mark Romanek directing and a script by Josh Friedman. 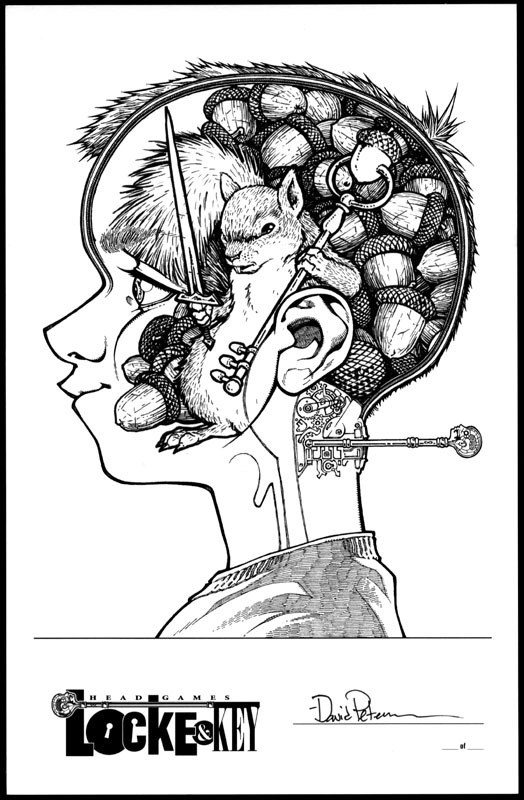 Despite being praised by critics after the pilot was leaked on the Internet, “Locke & Key” wasn’t ordered to series and any hopes of exploring the mysteries of Keyhouse on screen was lost to the ether. Until now: Recently, IDW Entertainment announced that it wants to give a “Locke & Key” TV show another go, but this time with Hill himself writing the pilot. But TV takes forever and in order to quench the fans’ hunger for more “Locke & Key” now, IDW will be releasing “Small World” in December. The one-off comic goes back in time to tell a new story from one of the many keepers-of-the-keys in the Locke family, Mary Locke ( one of Rodriguez’s all-time favorite characters to draw). The LA Times spoke with Hill (both over the phone and via email) and Rodriguez about returning to their spooky series with “Small World,” and Hill elaborated on his big plans for the new pilot. Read the interview HERE. Locke & Key fans will have reason to celebrate this summer when Joe Hill (NOS4A2, Wraith) and Gabriel Rodríguez (Onyx) unleash their latest horror series on the world. Tales from the Darkside sees the Eisner Award-winning team reunite on a comic-book revival of the horror anthology TV series of the same name. 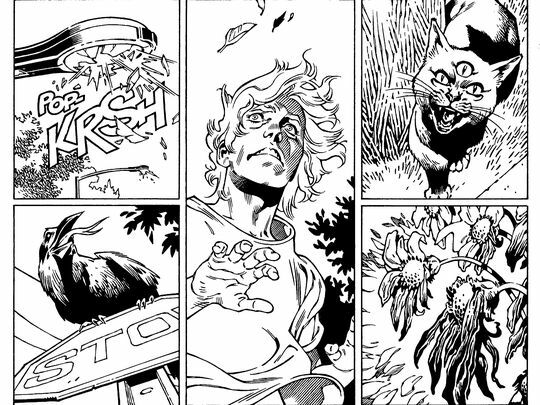 The four-issue series will feature Hill’s re-imagining of Tales for a contemporary take on the cult classic. 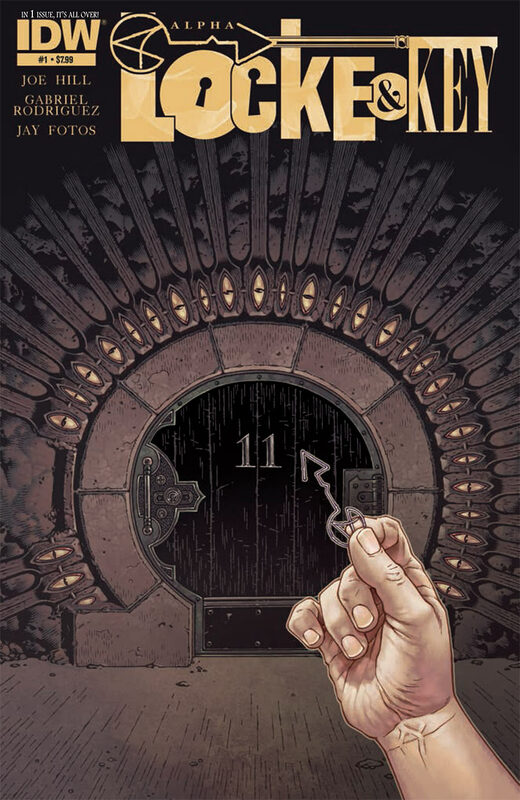 Structured to have the scope of Locke & Key while exploring a vast, underlying mythology, Tales aims to unfold a cohesive universe made up of each individual issue. According to the creative team, these stories will draw inspiration from the TV series that it has spawned from while also taking a meta approach to the material. While Rodríguez will provide cover art for the series, joining the team will be Charles P. Wilson III (The Wraith) who will contribute variant covers. 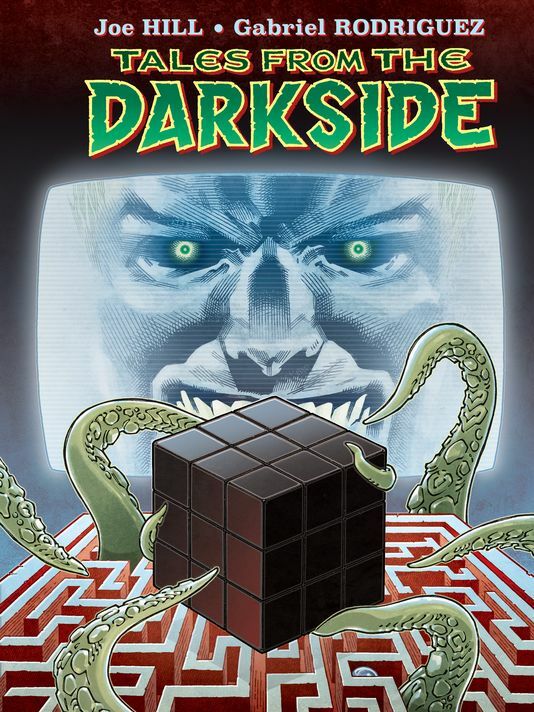 Prepare to enter the ‘Darkside’ this June at your local comic shop! From IDW Publishing in December. Color yourself a fan! 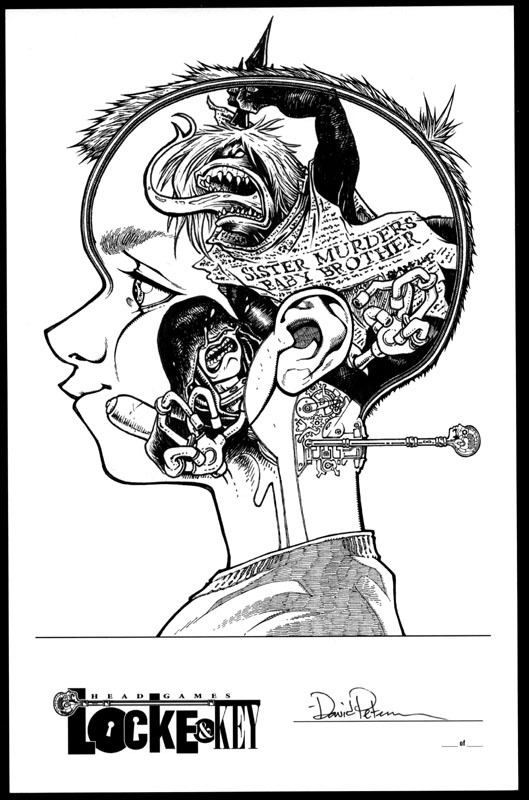 Joe Hill and Gabriel Rodriguez’s wonder-filled world of Locke & Key produced gorgeous, detailed pages of comic book art… and the best of those illustrations is collected here for your coloring enjoyment! 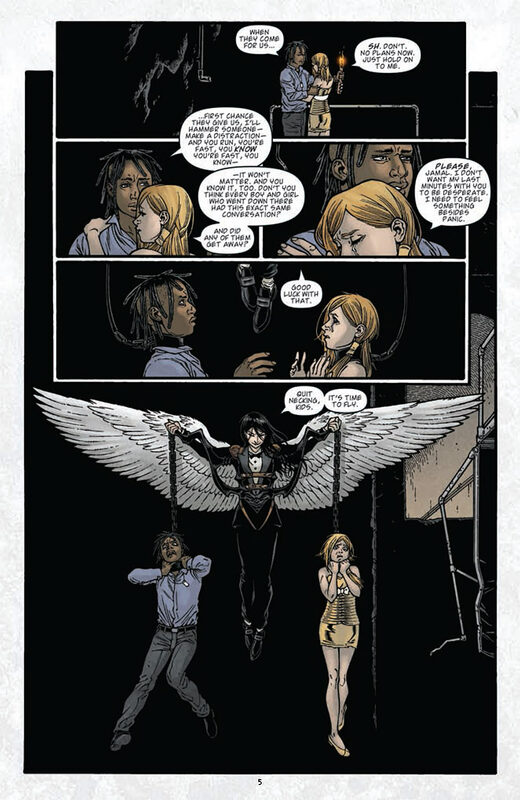 Written by Joe Hill with art by Gabriel Rodriguez. Revealed today at the IDW panel at Emerald City Comicon, Onyx is set to debut in July from the team of Chris Ryall and Gabriel Rodriguez. 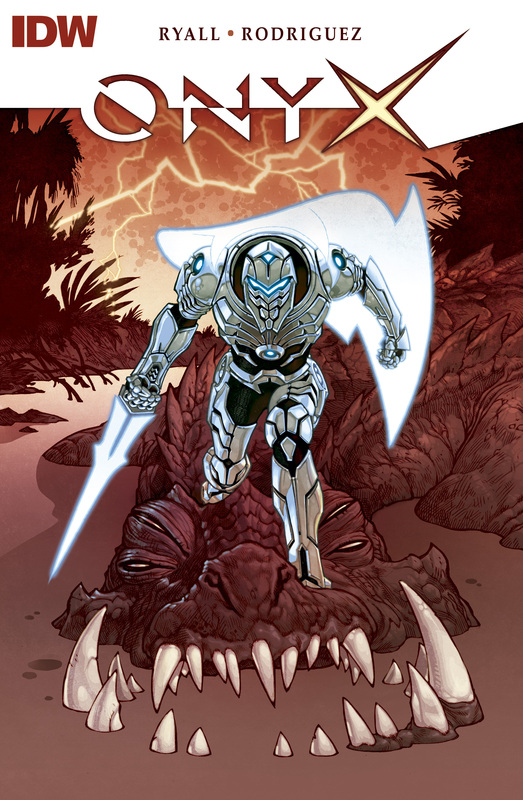 Comics readers will be introduced to Onyx in a standalone 5-page story, Onyx #0, that will be included as a free bonus story in many of IDW’s May titles, including The Transformers, Dirk Gently, Star Trek, and many others. This five-pager by Ryall and Rodriguez introduces the character in a deep space setting and serves to set the table for the adventures to follow in July’s Onyx #1 and beyond. Onyx #1 (of 4) will feature a unique cover plan to help kick it off, too. In addition to Rodriguez’s stunning cover image, Onyx #1 will also feature covers by Ryall’s ZvR co-creator Ashley Wood, a “plush” version of the character by Charles Paul Wilson III, an EC Comics homage cover as part of IDW’s EC Comics tribute month by Alan Robinson, and an incentive cover by Sal Buscema. 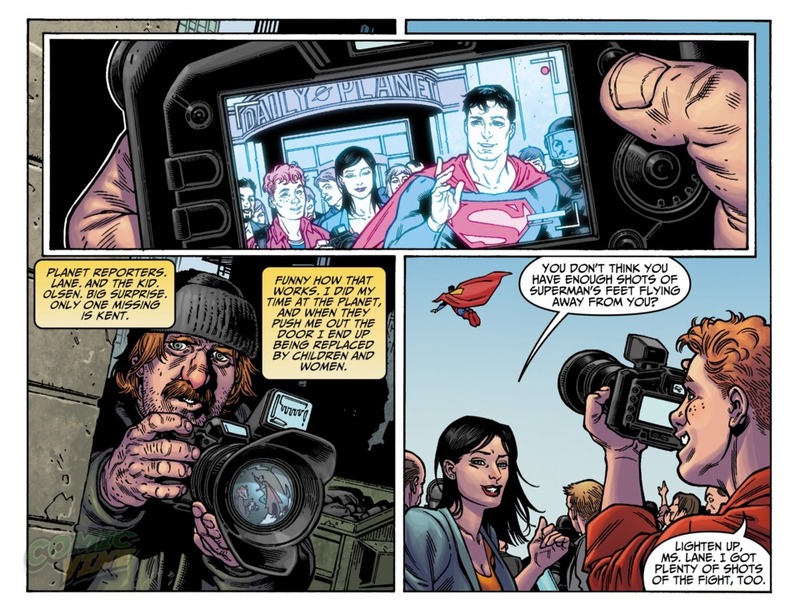 Adventures of Superman #37 written by B. Clay Moore with art by Gabriel Rodriguez and colored by Alejandro Sanchez is available digitally today for only $0.99. 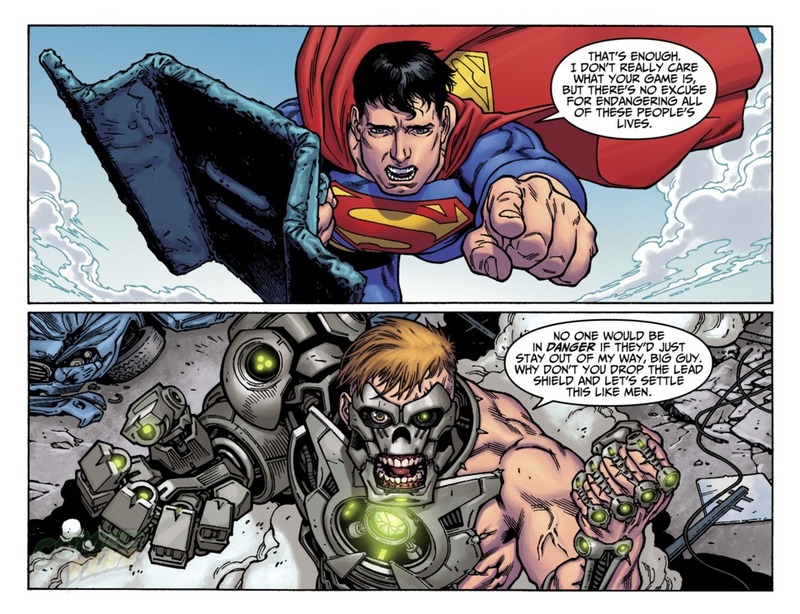 Gabriel Rodriguez is best know for his incredible art on IDW’s Locke & Key and now he is venturing into super hero territory! The three part storyline is titled Exposed and will be released every Monday. 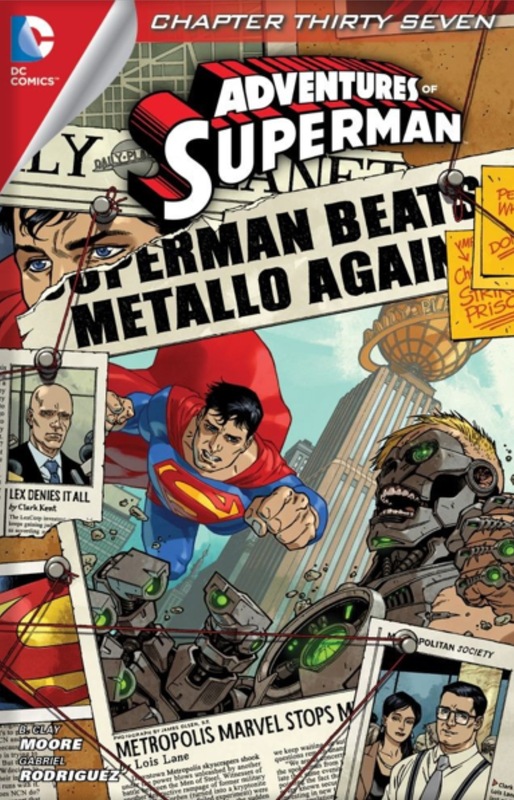 While the Man of Steel takes down Metallo in the streets of Metropolis, a down-on-his-luck reporter for the Daily Star attempts to break the “story of the century”–a suspicious connection between Superman and the Daily Planet! 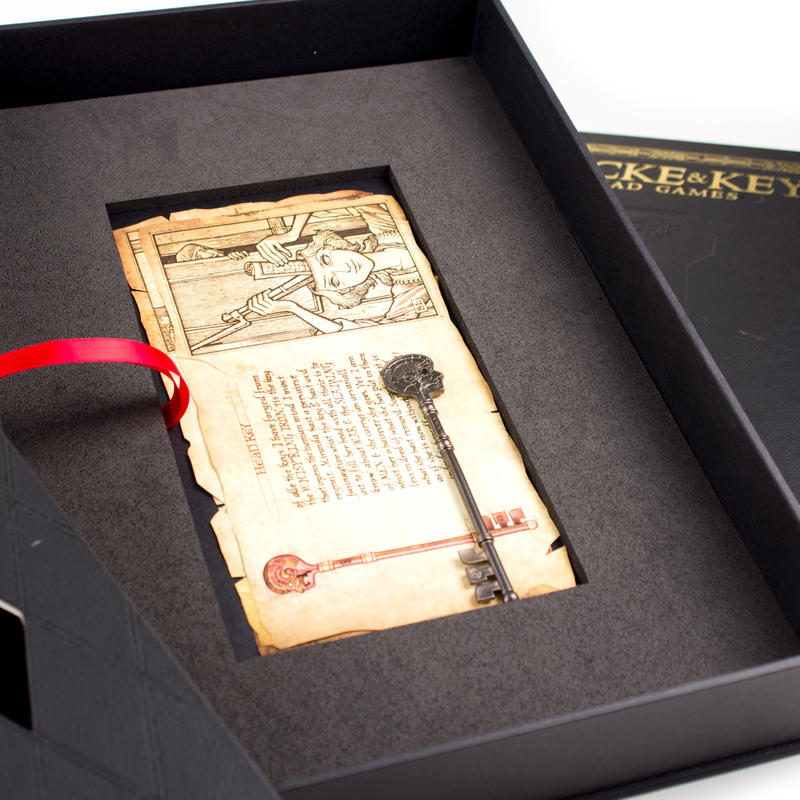 After looking at the detailed specs and the mind blowing art of IDW’s Locke & Key: Head Games Deluxe Edition, it very well may be one of the most lavish, gorgeous hardcovers ever produced in the comic book industry. And it should be considering the subject matter; the highly acclaimed series by writer Joe Hill and artist Gabriel Rodriguez deserves a keepsake like this or should I say these as there are many choices to pick from. 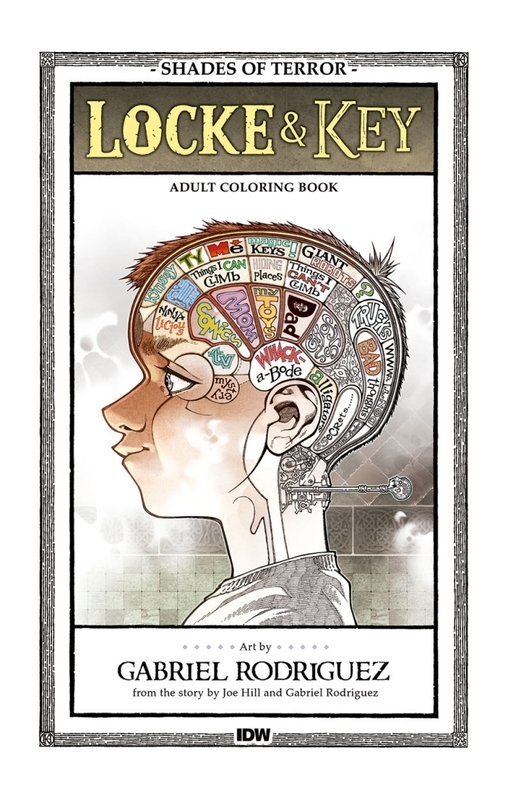 So break open your wallets, make some extra space under the Christmas tree and marvel at the Locke & Key: Head Games deluxe hardcover available on December 3, 2013 on idwlimited.com. This is IDW Limited’s most feature-rich offering to date: each book comes packaged in an exclusive leatherette tray case that also contains a hardcover portfolio of photographs taken by Shane Leonard. 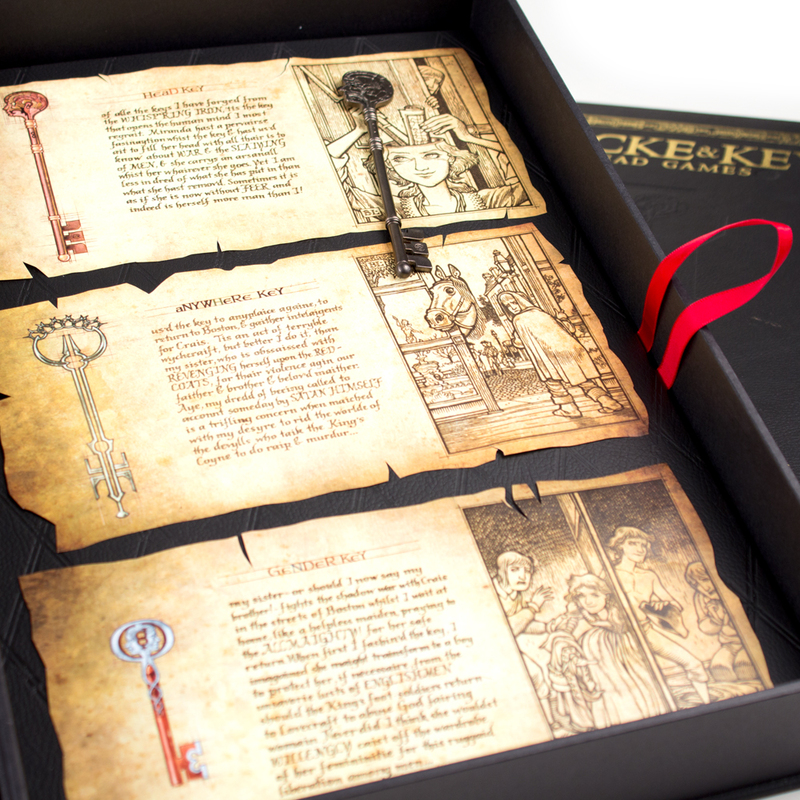 To fully unlock the secrets of this lavish special edition, you’ll have to pry up the floorboard of the tray case to find an exclusive custom key and journal entries from the Locke family. Black and Blue Label buyers will be able to choose original art from an incredible talent pool featuring David Petersen, Tony Harris, Alan Robinson, Jim Mahfood and Langdon Foss. The Red Edition costs $175 and comes with an exclusive Head Games key. The book is signed by Gabriel Rodriguez, Joe Hill, Shane Leonard, Jay Fotos and Robbie Robbins. This volume also comes with a photo portfolio from Shane Leonard, secret journal pages hidden under a trap door and of course the limited-edition book. 250 copies. 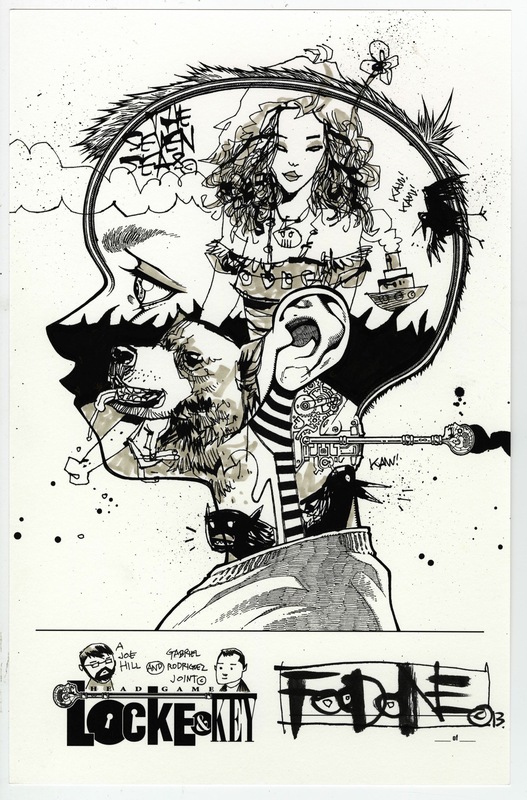 There are 10 unique copies available from each artist. There are ONLY 3 unique copies available from each artist. 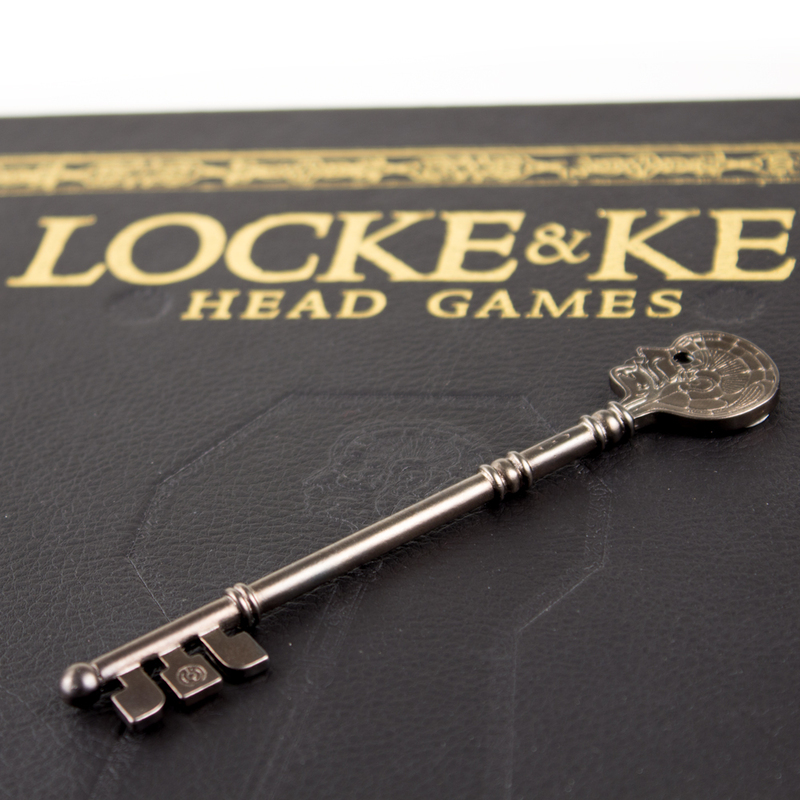 Again, the Locke & Key: Head Games deluxe hardcover will be available on December 3, 2013 on idwlimited.com. Locke On! The finale to Locke & Key! A story so big, it needs two extra-size issues to tell it! 32 pages of story plus bonus material! 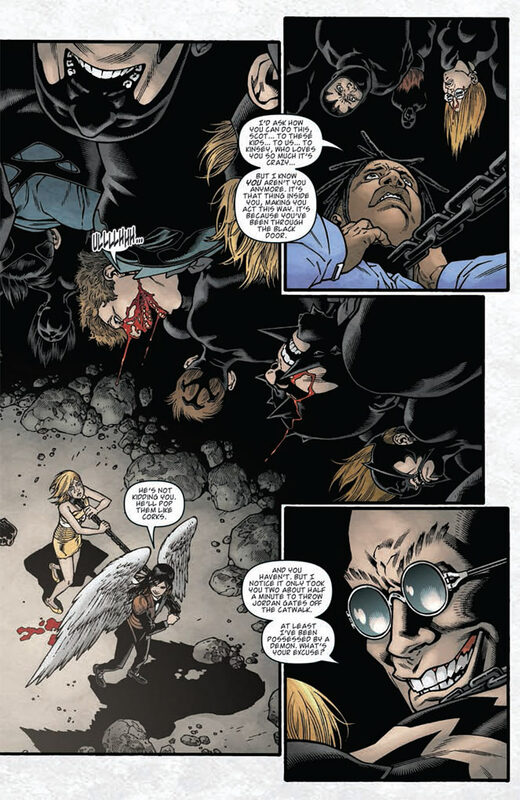 Only one issue of Locke & Key remains after this! Available on Wednesday, September 11th, 2013. 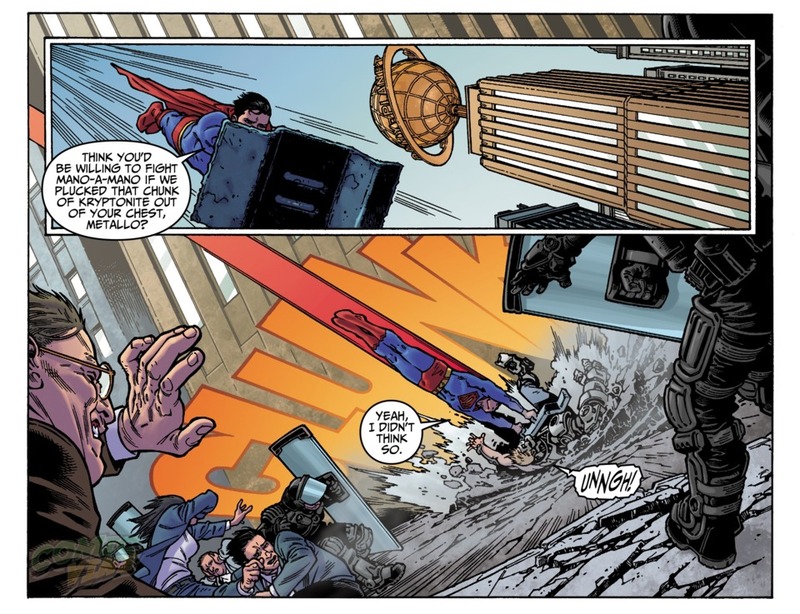 The door looks like it’s finally shutting on Locke & Key, at least for the three heroic kids. 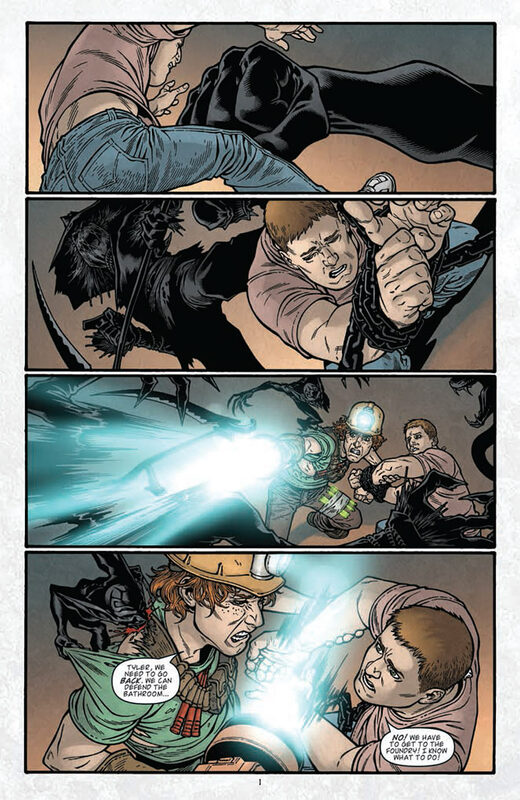 Writer Joe Hill and artist Gabriel Rodriguez’s award-winning IDW comic book has two more chapters to wrap up the fantasy horror story that started five years and 37 issues ago with teens Tyler and Kinsey Locke and their little brother, Bode, moving to a house full of magical keys after the murder of their father. 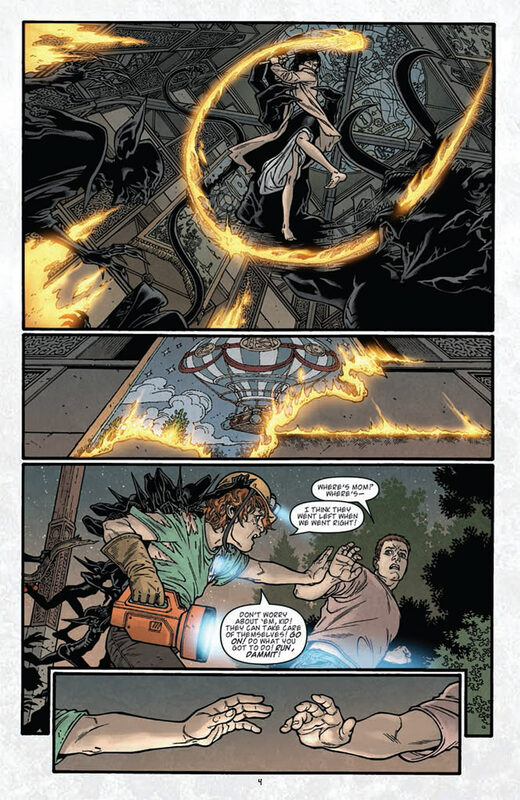 Locke & Key: Alpha No. 1 hits comic shops Wednesday with chaos reigning: The villainous Dodge has used the Omega Key to open a gateway to Hell and let his fellow demons into the world to attack the entire graduating class of Lovecraft Academy, which is trapped in the seaside Drowning Cave. Meanwhile, Tyler and his family fight off the living shadows that have invaded their Keyhouse home. 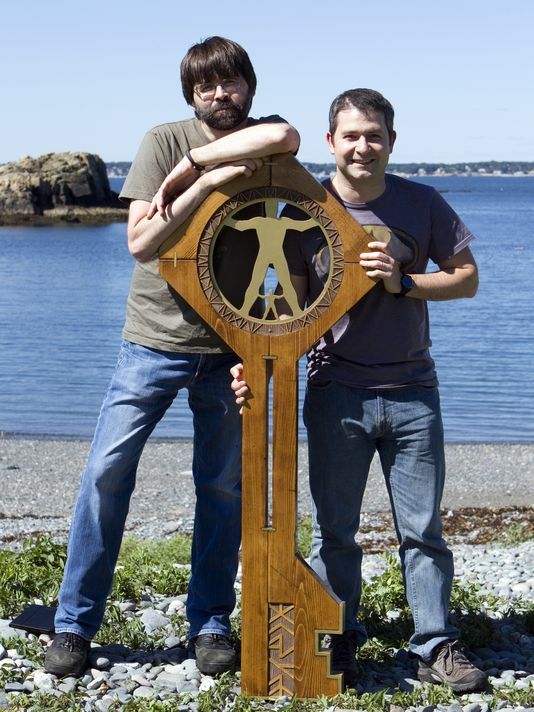 After finishing the first draft of his upcoming novel The Fireman, Hill wants to “celebrate” by writing a third stand-alone Locke & Key story involving the iconic Keyhouse. Read more from USA Today HERE. 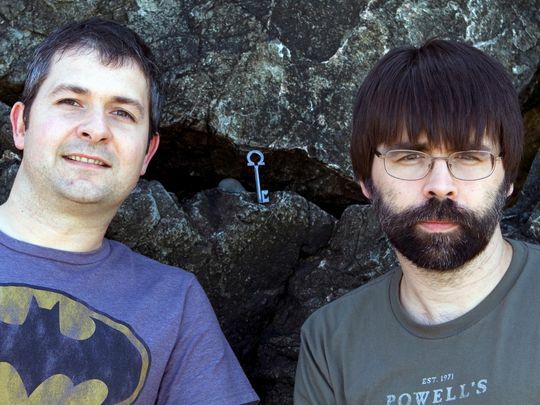 For its first appearance at Boston Comic-Con, IDW will be bringing the talented creators of Locke & Key and their collaborators, as the celebrated series opens the door on its final chapter, Locke & Key: Alpha. Boston Comic-Con will be held at the Seaport World Trade Center on August 3 – 4, and IDW will have some special surprises for the attendees! Joe Hill and Gabriel Rodriguez will be appearing together for the last time before Locke & Key comes to its climactic conclusion. Joining the series creators will be IDW’s Editor-in-Chief Chris Ryall. 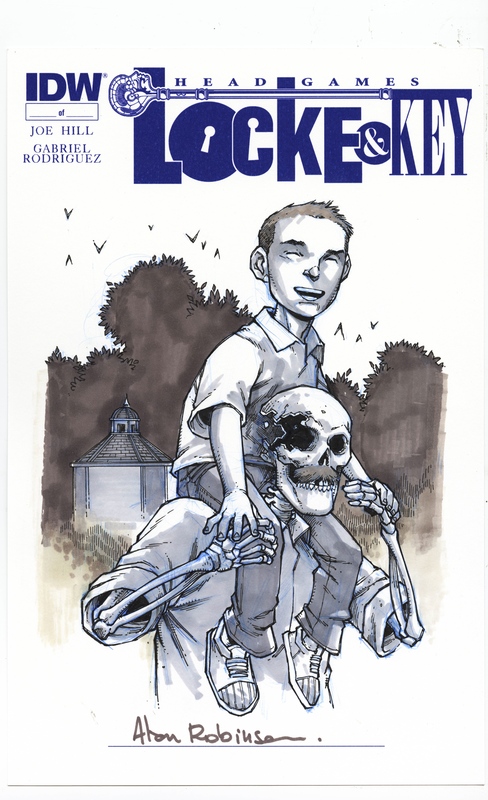 Shane Leonard, the artist behind Locke & Key’s striking photo-variant covers, will also be in attendance alongside Israel Skelton, the Skelton Crew Studios mastermind behind IDW’s sellout Locke & Key replica keys. Skelton will be bringing a variety of keys including the very limited SDCC Shadow Key and select other works with him for sale at the Skelton Crew booth, next to IDW’s booth. In addition to the Locke & Key gang, writer Jason Ciaramella (The Cape, Thumbprint) and Hill’s newest collaborator Charles Paul Wilson III (Wraith: Welcome To Christmasland) will also be present for two huge signings with all these amazing creators in one place! The first signing will be held on Saturday from 1:00 pm – 2:30 pm and the next, Sunday from 3:15pm – 4:30pm. To help celebrate the tremendous signing C.P. 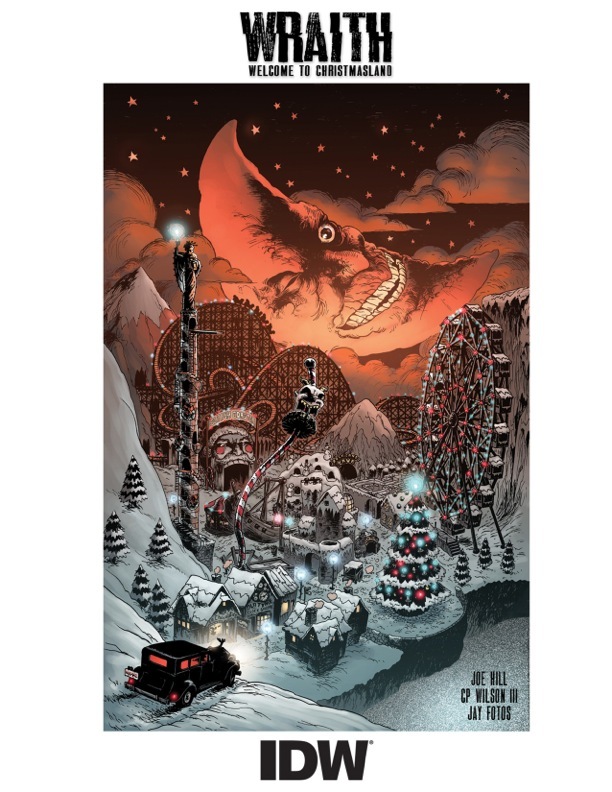 Wilson III will be bringing some menacing prints with him from the new series Wraith: Welcome To Christmasland! 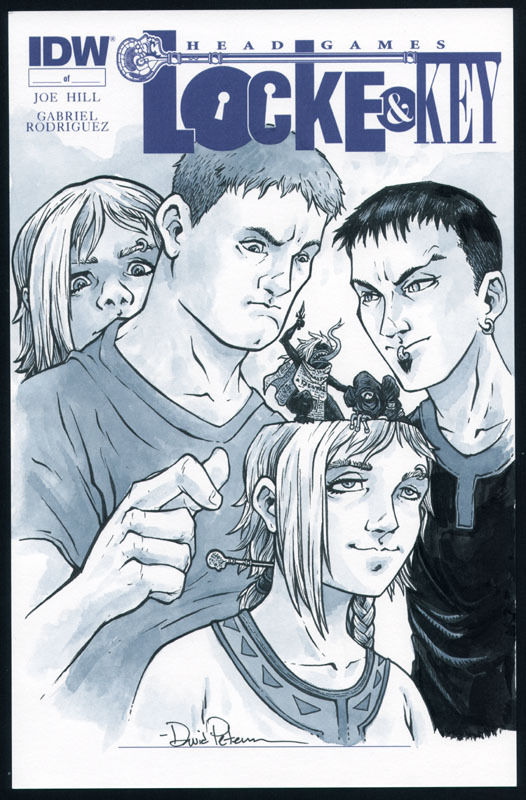 On Sunday August 4th a special Locke & Key panel will be held from 2:00pm – 2:45pm in the Waterfront Room featuring Hill, Rodriguez and Ryall as they reflect on the series and discuss the imminent harrowing future for the Lockes! A can’t-miss panel at a can’t-miss convention!